Will lawyers focus on helping people draft a will or testament, living trust or other estate planning document. 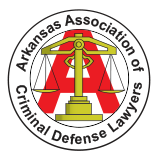 Attorneys that focus on wills in Arkansas can help you accomplish your objectives of making the documents legally binding and enforceable while considering tax implications and other consequences. Although some people are interested in writing their own will, in many cases, hiring the right attorney to draft the will or other estate planning documents will ultimately save money and decrease the need for additional attorney fees in the future.